Oshwin overseas stock a wide range of piping equipment in 90/10 Copper Nickel. Our stock covers Pipe, Fittings and Flanges to ANSI dimensional standards. Items such as Elbows, Tees, Stud Ends, Reducers, Caps and Flanges are all held in stock at our Aberdeenshire warehouse. 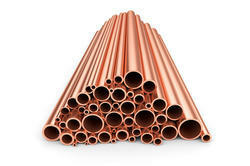 This is backed up with a large stock of 90/10 Copper Nickel Seamless Pipe as well as Forged Type Fittings with either Socket Weld or Capillary type connections. As well as standard products we can also have items manufactured to order to suit your specific design. 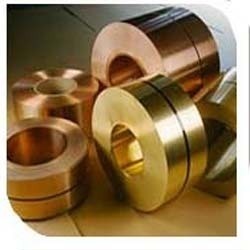 These special products are available in 90/10 and 70/30 Copper Nickel grades. All items are produced by internationally approved manufacturers to ensure excellent product quality. We are among the reckoned names in the industry, engaged in offering Cupro Nickel Rod for our treasured customers. These rods are designed in strict compliance with the industry standards using high-grade cupro nickel and sophisticated technology. These rods are sturdy and can be installed with optimum ease. We make these rods available at competitive prices. We export copper alloys and our products are available in various types like copper alloy rods, cupro nickel alloy stripes and many more. These are made from ace quality of alloy. Grade - Grade: UNS No. C 10100, 10200, 10300, 10800, 12000, 12200, 70600, 71500, UNS No. C 70600 (Cu -Ni- 90/10), C 71500 (Cu -Ni- 70/30). We offer high quality copper flats. Description of the product sizes: 19mm width up to 100mm width Grade : DHP, DLP, ETP Applications. These copper flats are widely required for various turnkey projects such as alkali, zinc and copper refinery, calcium carbide and ferro alloys. Electrical engineering also makes use of these products extensively. Enhanced by latest advance technologies and keen workforce ability, we are in a position to be the best to manufacture, supply and export world class quality Copper Nickel Alloy C70600 ( Cupro Nickel 90:10) and Copper Nickel Alloy C71500 ( Cupro Nickel 70:30) Pipes, Tubes and Fittings. Copper alloys have very good resistance to seawater, brine water, organic compounds, salts, diluted non-oxidizing acids, and more. CuNi 90/10 (C70600 & C7060X) is a Copper Nickel Iron alloy with a small content of manganese, which allows excellent resistance to sea- and brackish water. Of all commercial copper alloys, CuNi 70/30 (C71500) offers the best resistance to aqueous corrosion. It is resistant to acid solutions and highly resistant to stress corrosion cracking, and impingement corrosion. In addition, CuNi70/30 offers a greater strength for higher pressures. We are among the established manufacturers, suppliers and exporters of Cupro Nickel Flanges in the industry. 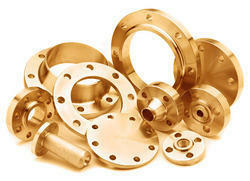 The offered flanges are designed as per the prevailing industry standards and are highly appreciated by the customers. Owing to their precise design and optimal finish, these flanges are highly appreciated. Offered flanges are competitively priced. Owing to our vast domain expertise, we are engaged in manufacturing and supplying Copper Alloy Pipes to our valuable customers. These pipes are manufactured in strict compliance with the industry standards and are highly appreciated by the customers. Being accurate in terms of dimensions and finely finished, these pipes are highly demanded. We are among the prestigious industry players, engaged in offering Cupro Nickel Fittings to our valuable customers. The offered fittings are designed keeping in mind the requirements of various industry applications and are much appreciated by the customers. These fittings are evenly finished and are regarded for their high abrasion resistance. We provide an exquisite array of Copper Pipe Fittings, which is manufactured from the 100 % pure copper to ensure its durability and brilliant performance. 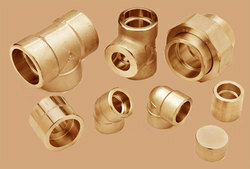 Due to our work ethics and right conduct, we are widely reckoned as one of the distinguished copper fittings manufacturers and suppliers in India. Our range of Copper Pipe Fittings is manufactured conforming to BS EN1254-1:1998 and ASME B 16.22 standards. They are available in different dimensions and various sizes and can be customized as per the demand of the client. 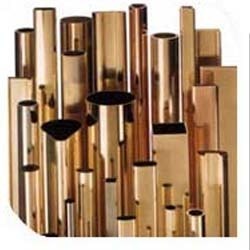 We bring forth an exclusive array of Copper Tee, which is manufactured from the high-grade copper metal to ensure its durability and brilliant performance. Due to our superior quality, we are widely reckoned as one of the distinguished Copper Tee Manufacturers, Exporters, and Suppliers in India. The exceptional range of Copper Elbow manufactured by us is hugely acknowledged by the clients, due to its unmatched quality and durable performance. 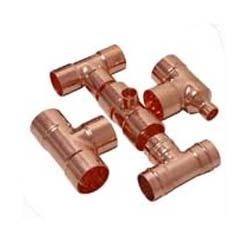 Our array of Copper Elbow is made available to the clients in various dimensions in order to meet their varied requirements at very affordable prices. We are among the renowned names in the industry, involved in offering Cupro Nickel Fasteners to our valuable customers. 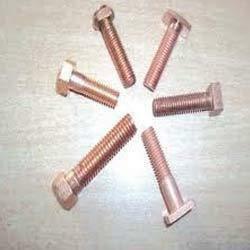 These fasteners are designed precisely and serve the varied needs of the customers. We make them available in several specifications pertaining to size, finish and dimensions as per the exact requirements of the customers. Leveraging our vast potential, we have come up with Cupro Nickel Sheet and Plate for our valuable customers. The offered sheets and plates are designed in strict compliance with the industry standards and are highly demanded by the customers. These sheets and plates are used in a variety of construction applications and are known for their optimal finish.